"The vine and its wine are a great mystery. Only the vine reveals to us what is the real taste of the earth," writes Colette. In this sumptuously illustrated and wonderfully informative book, Jacques Fanet invites us on an entertaining tour of the world's most celebrated winegrowing regions to discover the characteristics of the bond that ties the vine to its place of birth: the terroir. Terroir is a uniquely French term for the subtle interaction of natural factors and human skills that define the characteristics of each winegrowing region. Interviewing growers and researchers in France, Spain, Italy, California, Chile, Australia, and South Africa, Fanet looks for the soil in the soul of each wine. He takes us back millions of years to show how movements in the ancient bedrock, faults, mountain building, tidal flow, sedimentation, and volcanic activity contribute to the precise and individual character of each terroir, making the great winegrowing regions what they are today. 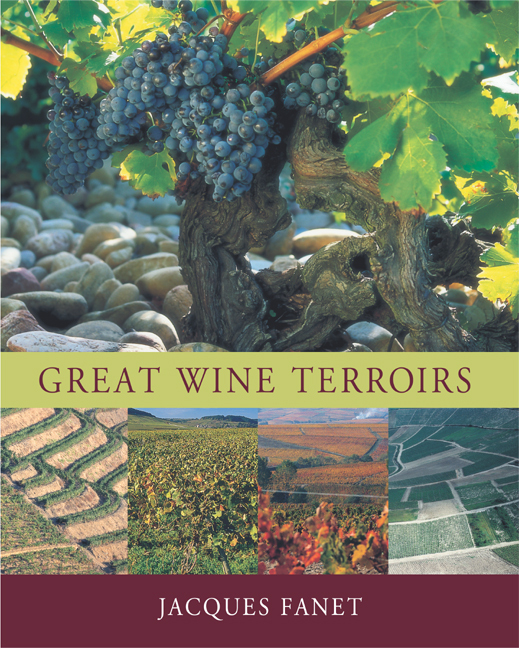 Great Wine Terroirs provides wine enthusiasts with everything they will want to know about different soils and climates, the relationship between international grape varieties and the soil in which they grow, and how these factors affect the taste of the wines. Color geological illustrations and timelines support the text and explain key phenomena. Fanet also provides a glossary, geographical index, and index of soil types and grape varieties. He explains enological practices and their effect on the terroirs and answers questions such as why the Châteauneuf plateau, almost 300 feet about the Rhône Valley, is surrounded by river alluvia and why there are fossilized oysters in the soils of Chablis. Those interested in the wine of California will find a lively discussion of the Napa Valley, with a detailed explanation of how the San Andreas fault, the Sierra Nevada, and the Great Central Valley have all played a part in creating the most spectacular wine-producing region on the continent. Jacques Fanet is a specialist in soil science, viticulture, and enology. He was Assistant Director of the National Institute of Appellations (INAO) in France.